This sweet bracelet from Aaron Basha's Evil Eyes collection is spectacular. 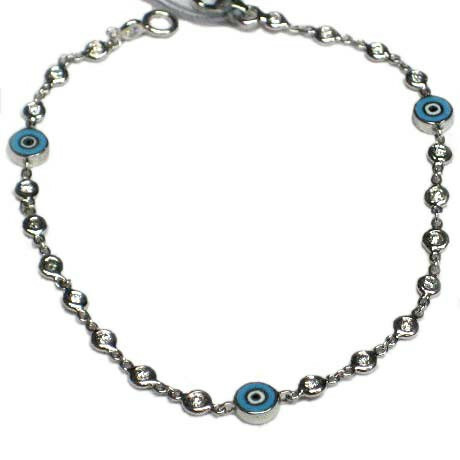 Three small evil eyes, crafted in light blue, white, and black enamel, rest on this stunning 18kt white gold bracelet. Between each evil eye, diamonds are set within the links of this amazing piece giving it an alluring razzle-dazzle. Aaron Basha gives this bracelet a touch of whimsy with style and elegance.